Live video streaming is the perfect way to address a global audience in real time. In fact other than TV it is the only way to conduct a Live broadcast and is a lot more cost effective. Click here for live video streaming case study. Live news updates, sports events, conferences and even concerts can now be broadcast flawlessly across the internet. 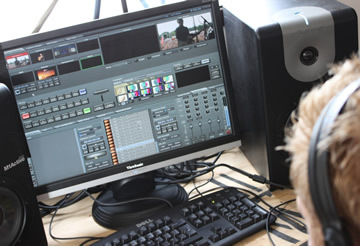 Both a Live Webcast and the subsequent archive can be produced in all the popular formats including Adobe Flash and Microsoft Windows Media / Silverlight. If a viewer missed the live broadcast or arrived late it is possible to offer them coverage as Video On Demand. Your webcasts will be distributed from multiple points of presence globally to ensure super fast access through popular internet connections (DSL, Wireless, Mobile, Cable, Leased Lines). This guarantees fast starts, no content drops and seem less playback for the viewer even in HD. We can protect your content from abuse and link hijacking. This prevents unauthorised people from republishing your streams on other websites or stealing your valuable content. Our support team can help you broadcast live video or audio from anywhere in the world, providing you with the advice and encoder software you need. Please see Web TV for more details. This entry was posted in Content-Delivery-Network and tagged live broadcast, live stream hosting, Live Video, Live Video Streaming, Live Video Streaming Services, Live Webcast streaming. Bookmark the permalink.